Test-driving the hydrogen fuel-cell Mirai. 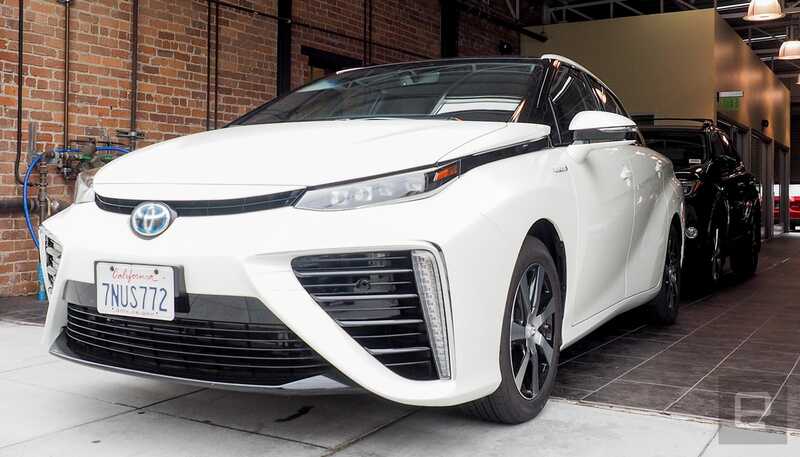 The Toyota Mirai looks like it's ready to swallow you whole. From the front, the hydrogen fuel-cell car has the aggressive stance of a bulldog. But as you circle the vehicle, the styling quickly softens to clean lines that lead to a rear end that would blend in among a sea of cars trapped in traffic. It's the future of driving (one version of it, anyway), but as I found after a recent test drive, it's also ready to hit the freeway without much fanfare. As with the exterior, the experience of driving the vehicle feels like an oxymoron. On one hand, you're driving a production version of a hydrogen car. If you live near one of the filling stations and want to be on the bleeding edge of clean driving without tethering your vehicle to the grid for hours on end, you can buy one right now. 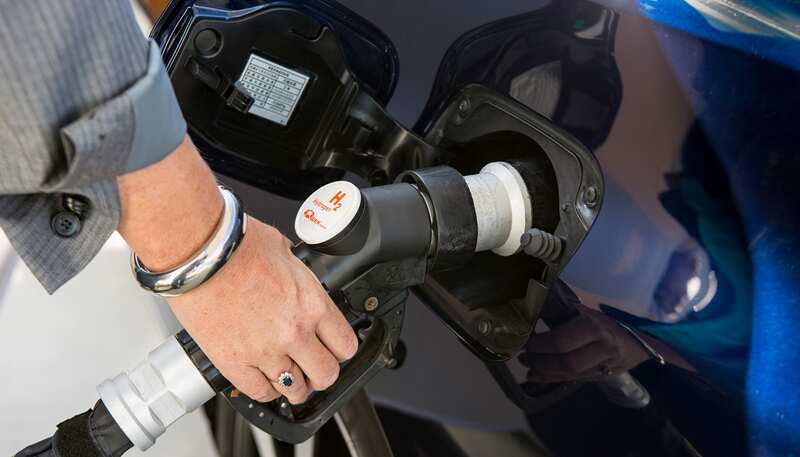 While EVs are all the rage, fuel-cell vehicles (like traditional cars) only take five minutes to refuel with a familiar pump. On the other hand, once you get behind the wheel you don't feel like you're driving the future. It's sort of like driving a Camry. That's not necessarily a bad thing. Not every car that moves away from the traditional internal combustion engine is going to be a Model S, and not every driver needs Ludicrous mode. What many of us want is a vehicle that comfortably gets us to work every day. In that respect, the Mirai is mostly there. The interior is comfortable, with styling and tech cues taken from Toyota's Lexus luxury line. It's a commuter that feels smarter and like it has a more solid frame construction than the average grocery getter. While driving around the west side of San Francisco I felt like I was nestled in a comfortable cocoon. But that feeling also extends to the drivetrain. With a zero to 60 mph time of 9.4 seconds, you're not going to be blasting down the freeway with any real conviction. Instead of pulling out ahead of the pack, you'll be right there with the rest of the mid-level sedans. A nice bonus is that the suspension is a bit tighter than expected, so the body roll I was predicting didn't materialize unless I pushed the vehicle a little above the speed limit. 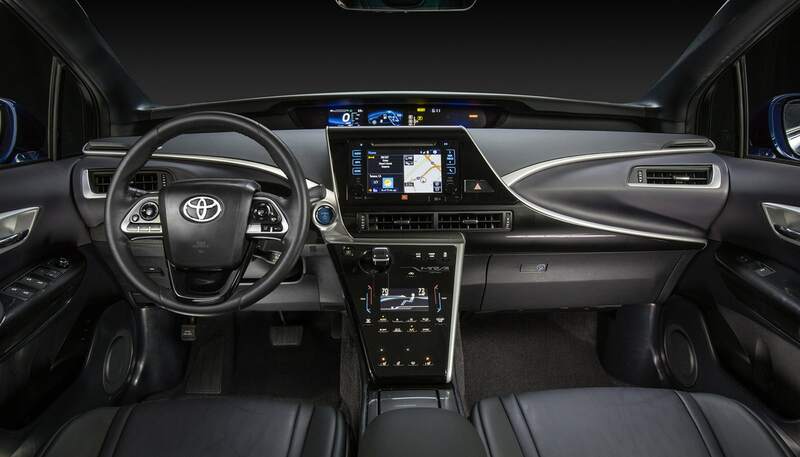 All told, the Mirai sits between the utilitarian Toyota Camrys, Honda Accords and Chevy Malibus of the world and entry-level luxury vehicles from those and other automakers. But thanks to the fuel cell technology under the hood, it has a lofty price of $57,500. Thankfully, like hybrid and electric vehicles, it's eligible for federal tax credits of up to $8,000. Owners can also receive credits of up to $5,000 in California, the only state where it's currently for sale. To sweeten the pot, Toyota is offering what it's calling "Trailblazer" purchase support of $7,500 plus three years of free refueling at Toyota-certified stations. Suddenly being an early adopter seems like a sweet deal. But you'll still need to weigh all of those incentives against the fact that there are only 20 filling stations in the entire state of California. Meanwhile, if you're rolling an EV and can't find one of the over 150,000 charging stations in the state, you can plug into your home. If you happen to live near one of these refueling stops in Los Angeles or San Francisco, the Mirai might be worth checking out. The car's estimated range of 312 miles should also curb some of the range anxiety of only having access to a few hydrogen facilities. But if you're not in those markets, you should wait a few more years. Toyota expects an additional 21 facilities by the end of 2016. If the company can drastically ramp up that number, it might be able to seriously compete with the electric and hybrid market. To that end, Toyota has been working aggressively with partners and the state to get more filling stations on the map. But it also has to actually have cars on the road that need them. It's hoping the Mirai is unique enough to get drivers in the seat. Once they're there, it's betting comfort, luxury and a drivetrain that feels familiar will keep them satisfied.